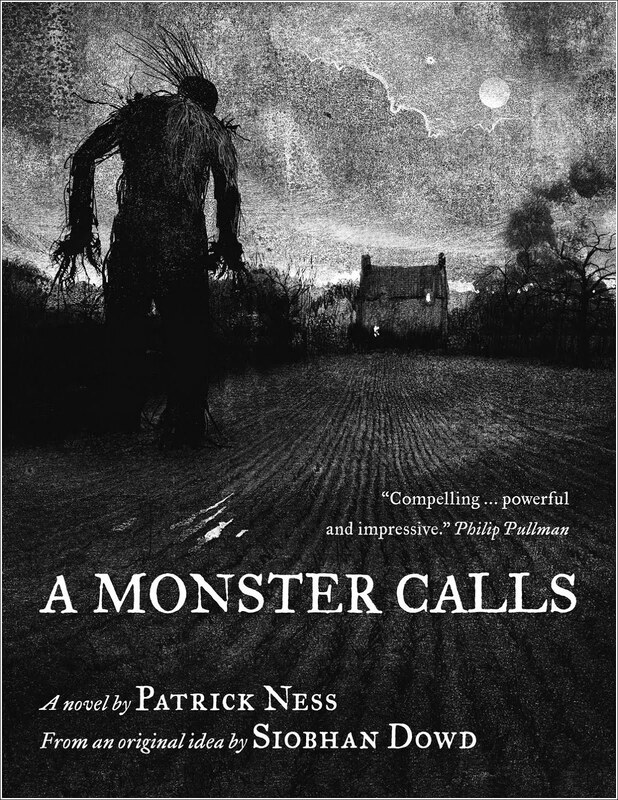 A Monster Calls is a beautiful novel written by Patrick Ness based on a story idea by the late author Siobhan Dowd. Mr. Ness also wrote the screenplay for the film adaptation that's in theaters now! (Watch the trailer here). 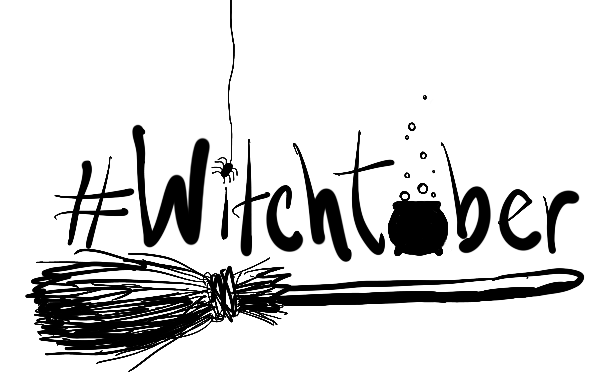 I read the book a couple of months ago for the kids' book club I host and was so moved by it. 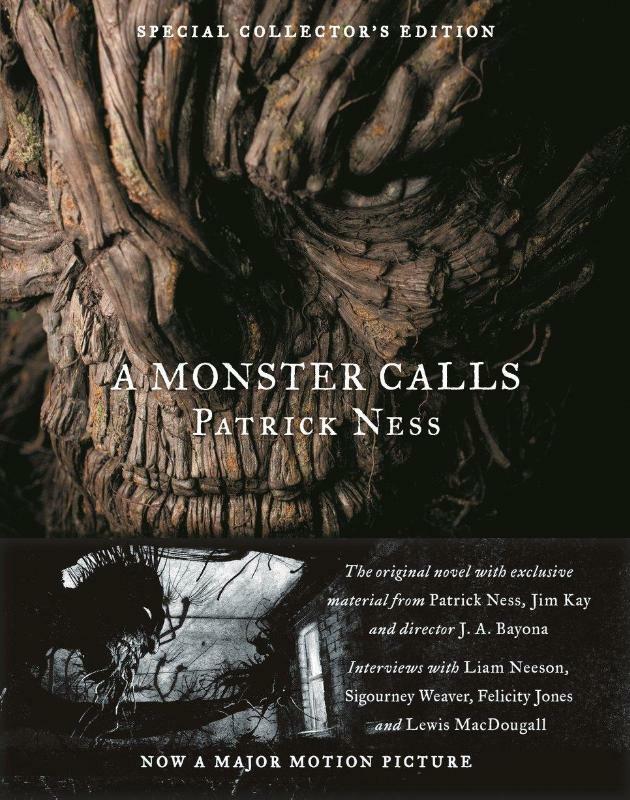 Patrick Ness' words with Jim Kay's illustrations are a perfect combination. 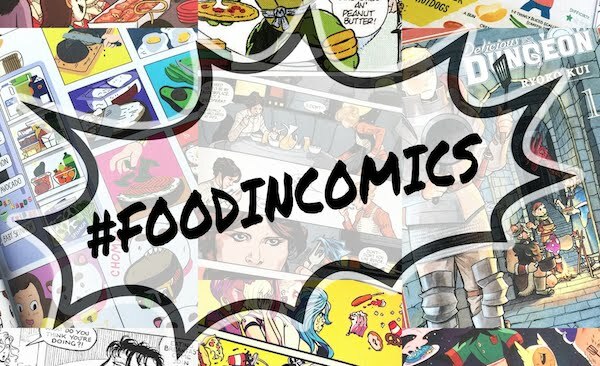 I met Mr. Ness last year at the National Book Festival where I was able to ask him my go-to question, "If your book was a food, what would it be?" He was thoughtful for a moment, and then said "moss cake" (well, I didn't realize that's what he said at the time, I only made out the "m" sound). I was confused, so he said, "peat cake", to help clarify. I thanked him and walked on my way, still not entirely sure what food he had said. A few pensive moments later and it dawned on me; "peat moss". I imagined something like mud pies, because I'm familiar with peat moss from gardening. 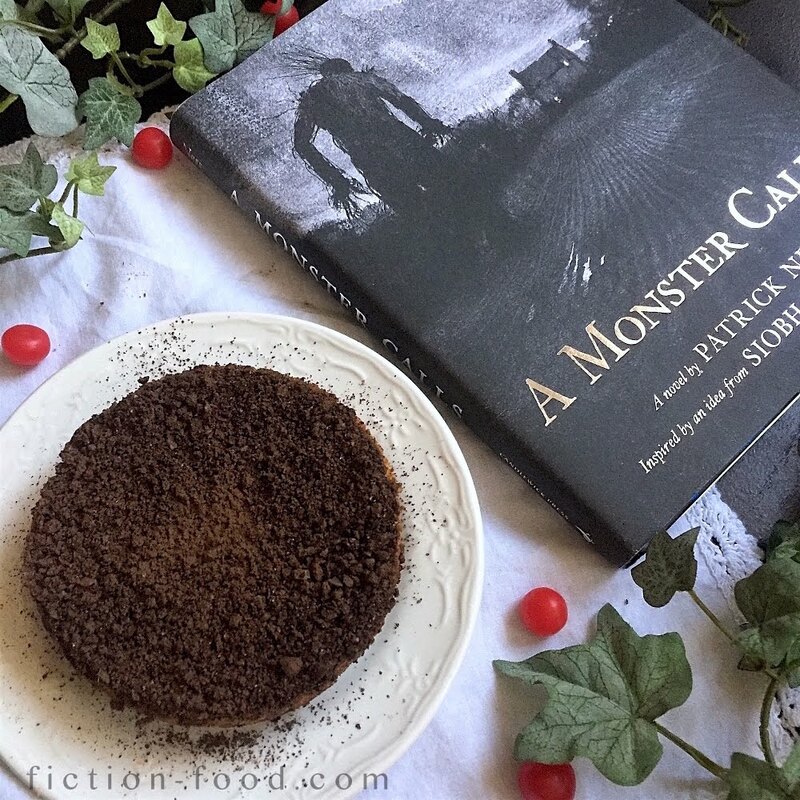 I googled "peat moss cake" to see if it was truly a thing (an edible thing), and lo and behold, it is and it's perfect for A Monster Calls (well, of course! The author said so😊). 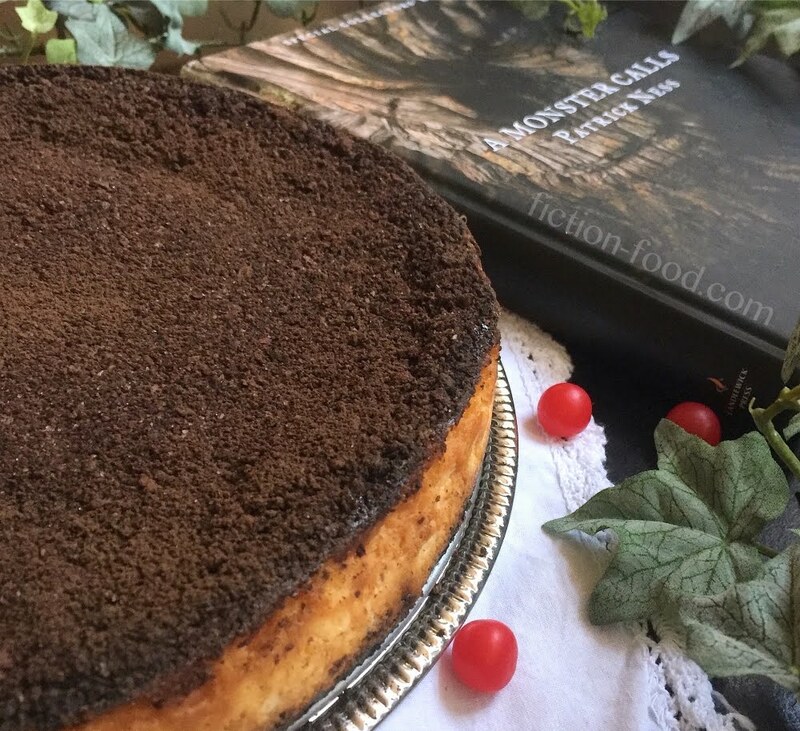 Note: Turbakook/Peat Cake is typically made with farmer's cheese, or farm-style cottage cheese, which is somewhat like regular cottage cheese but pressed and drained so it becomes drier and crumbly. 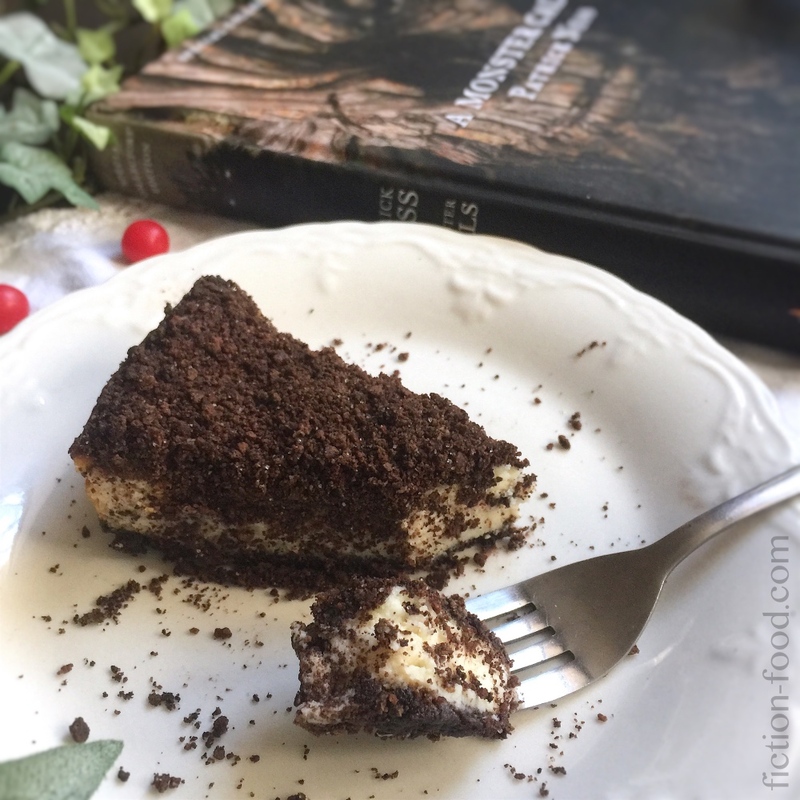 Farmer's cheese as such is not readily available where I live so I determined to come up with a comparable recipe (based on this recipe from SBS) using alternate ingredients, such as queso fresco and ricotta. BUT if you have farmer's cheese, please do substitute it in for the cheeses used in the recipe below (you'll need 800g). 1. Heat your oven to 325ºF & grease an 8" springform cake pan. In a food processor, pulse the cookie crumbs, cocoa, & 2 Tbsp. sugar. Add in the butter & pulse until completely combined. Press a little more than half of this crumb mixture into the bottom of the cake pan using the bottom of a measuring cup, & then set the pan aside. Transfer the remaining crumb mixture to a bowl & clean out the food processor. 2. In the food processor, pulse the quest fresco, ricotta, sour cream, cornflour, & optional honey until well combined, & then scoop out into a large bowl. In a mixing bowl, whisk the eggs, sugar, & vanilla extract until pale & thick. Fold the sugar/egg mixture into the cheese mixture. Pour the resultant mixture over the pressed crumbs in the pan, tapping to settle & release any bubbles. Layer the rest of the crumbs on top & spread evenly, right up to the edges of the pan. 3. Bake for about 50-60minutes, or until there's only a gentle wobble in the center of the cake. Turn off the oven & open the oven door slightly & let the cake cool completely. Remove from the oven, remove the springform ring, & then wrap tightly in plastic wrap & place the cake in the fridge to chill overnight. To serve, simply slice & dust the a little extra cocoa if desired. Just FYI for the kids' book club: For a snack, I used a small amount of almond extract mixed with black gel food coloring to paint the Monster on ginger cookies (you can see the cookies here). For an activity, the kids and I did little black and white monster watercolor paintings (group shot here) while discussing the book and the artwork. And since the movie just came out, we'll get together this month to go see it as a group!